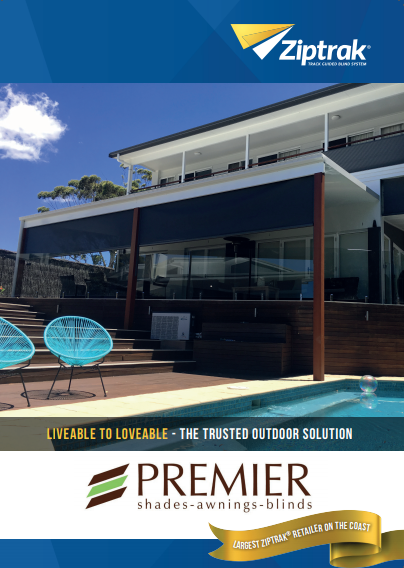 Ideal to enclose a pergola, deck or verandah. Easy spring assisted operation. Just slides up and down like a window. 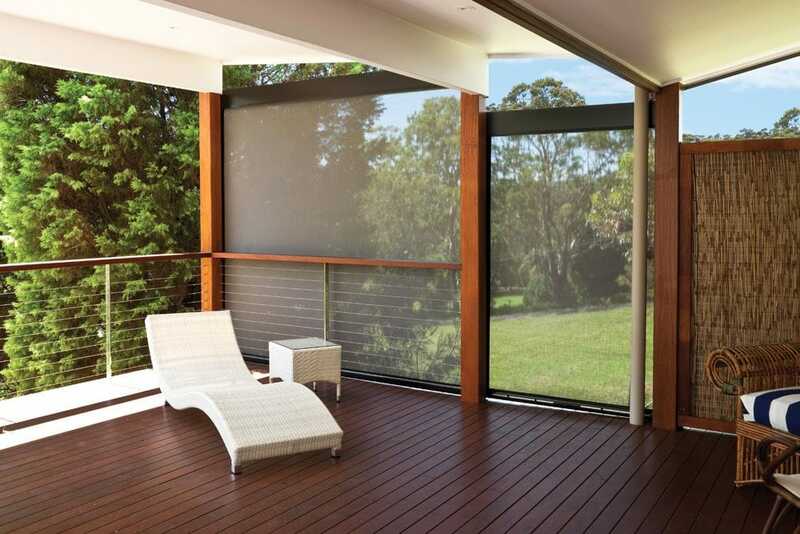 Sometimes referred to as "Café Blinds", or Patio Blinds. Can be made with screen fabric, acrylic fabric, or canvas. Can be motorised for convenience. We use the Somfy Maestria 50 RTS motor as our standard. An intelligent motor with obstacle detection. Water resistance fabrics make them useful to use all year round. Can have removable posts so can go wider spans as well. With or without a headbox to suit your situation. Frames colours in popular colourbond colours or can be powercoated to suit. 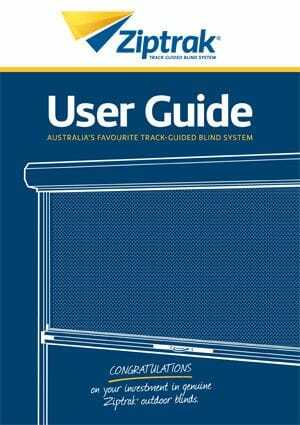 Ziptrak external blind can stop anywhere along the track and is easy to move up and down. Why choose Premier Shades for your Ziptrak purchase? Establish over 20 years if something goes wrong, we are around to fix it. We offer a no fuss warranty and back up service in writing. We are the only local blind manufacturer and retailer awarded the Gold License Somfy Motorisation Expert. We specialise in motorisation. We abide by industry safety guidelines and we have correct insurances and abide by the industry code of ethics. We are the largest retailer of Ziptraks on the Central Coast. We specialize in them. Our staff are constantly updated in house and flown to other states to learn the latest developments. We purchase from Australia's largest authorized Ziptrak fabricator. Only authentic parts, quality fabrics and procedures are used. We give firm lead times in writing and update immediately if things change. We have the Central Coasts largest showroom and have Ziptraks on display as well as a huge range of fabric choices. You can trust your Ziptrak purchase with the local experts at Premier Shades.